Gold Coast Colorbond Gazebo Specialists. Add value to your home and lifestyle with our beautiful Colorbond Gazebo Gold Coast..
Add value to your home and lifestyle with our beautiful Colorbond Gazebos. Create your own paradise resort living, with our Gold Coast Colorbond Gazebo. Diverse Gazebos are Colorbond Gazebo Gold Coast experts. Custom designed to suit your natural surroundings. Transform your backyard into a tropical, yet tranquil paradise. We can help you create that stunning handcrafted gazebo for your entertainment area that will not only look amazing, the quality of the finished product will be uncompromised. We understand that your home is your place of tranquility, let Diverse Gazebos and decks help you achieve that piece of heaven. At Diverse Gazebos and Decks we take pride in supply the best quality Colorbond Gazebos Gold Coast at competitive prices. We have only the most experienced installers, not casual subcontractors, to complete your project. We are a preferred supplier for many large and small companies. 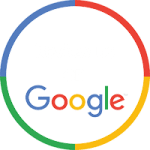 We have earned our reputation from the quality of work we produce and our years of experience. Let’s connect and get your Colorbond Gazebo project started. Expand your outlook by creating an inviting outdoor area giving the comfort and protection a Colourbond Gazebo brings to your project. Whilst it is also a great way to add extra space to your environment it is cost effective adding much sort after value to your investment. Diverse Gazebos & Decks can help design too your needs working within your budget to bring you results that are life changing. We are Colorbond Gazebo Gold Coast experts. We give you the choice of materials from timers, aluminium or steel frames adapting to specification and existing structures. Diverse Gazebos and Decks specialise in bringing your ideas to live and our Team are here to help no matter how challenging the project might seem. Hence why we’re the most reliable and professional company on the Gold Coast. With roofing materials ranging from Insulated Panels, Polycarbonate or Colourbond, you can blend to complement you’re existing building. In conclusion Diverse Gazebos and Decks are your chosen preferred supplier therefore please make sure to give us a call. Our extensive experience and expertise gives us the added confidence and ability to help bring your dreams to fruition. At Diverse Gazebos and Decks we pride ourselves on product quality and our customer service. We are Colorbond Gazebo Gold Coast experts. Transform your backyard into a tropical and tranquil space with our customised Colorbond Gazebos. We specialise in building and installing custom Colorbond Gazebos on the Gold Coast. High quality custom built Colorbond Gazebos to suit your requirements and space. Whatever your dreams or desires, we can put together that perfect solution. Not only will we provide you with a high quality custom built Colorbond Gazebo, we will give you a piece of paradise. We can build every single Colorbond Gazebo to suit your specific needs. Why not chat to our team today to get your very own individual quotation. We will inspire you and take care of the entire process. A member of our team will come out to your place and discuss your unique needs prior to quoting, that way you know you are getting exactly what you want. Contact us today! We take pride in our products. We take the quality of our Colorbond Gazebos very seriously. We use the highest quality materials in the construction of our Colobrond Gazebos. We are committed to giving you an enjoyable experience installing your Colorbond Gazebo. We will make sure that you get only the best quality Colorbond Gazebo. Our Gold Coast Colorbond Gazebos are 100% waterproof and 100% safe for humans but deadly for termites. Our Colorbond Gazebos are 100% waterproof with correct installation. We use the highest quality materials in the construction of our Colorbond Gazebos. Colorbond Gazebos are 100% UV protection. Colorbond Gazebos will enhance your lifestyle with unique character and atmosphere. QUESTION: Are Diverse Gazebos Colorbond Gazebos Gold Coast waterproof? Absolutely! We use only the highest quality products. Ensuring an angled roof, allows the water to flow straight off your Colorbond Gazebo. You can entertain with peace of mind, knowing that should it rain, the party can go on. QUESTION: Are our Gold Coast Colorbond Gazebos Freestanding? Absolutely! There are several options we can offer you. You can deck the floor, concrete the Colorbond Gazebo to the ground or bolt stirrups to an existing slab. Chat to us today and we will find you the perfect Colorbond Gazebo solution. QUESTION: What is the lifespan of Colorbond Gazebos? We use the materials to ensure that they are durable and waterproof. The length of life will be dependent on the natural elements that Colorbond Gazebos are exposed to. Maintaining a Gazebo can also lengthen the lifespan of your beautiful Colorbond Gazebo. Gold Coast Colorbond Gazebo Professionals.